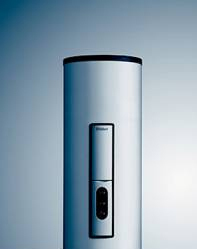 Most modern cylinders come with foam lagging bonded on to the outside of the cylinder. This is an extremely efficient insulator and will keep the water hot for a long time. There are a lot of different shapes and sizes to suit the space available, but the capacity of the cylinder is important. 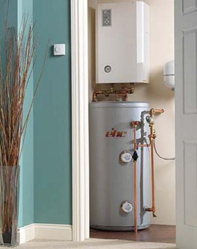 There are two main types of Hot Water Cylinders: Unvented Hot Water Cylinders and Vented Hot Water Cylinders. 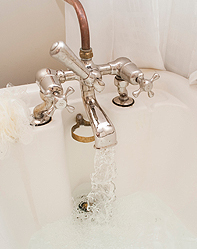 An unvented cylinder is fed water from the mains whereas vented cylinders are fed from a cold water storage tank, usually found in the loft space. These two types can be either Direct Cylinders or Indirect Cylinder and refers to the way they heat water. 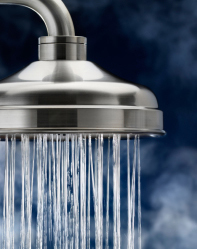 Direct hot water cylinders heat water directly with an immersion heater fitted into the hot water cylinder. An indirect hot water cylinder heatâ€™s the water via a heat exchanger which is a coil of pipe that runs through the hot water cylinder. This coil has hot water from the central heating circuit running through it and the heat from the central heating system is used to heat the hot water cylinder indirectly. Talk to your London Gas engineer who will be able to advise you of the one best suited to your home.